The newly-launched Comfort-Life 2 from Semperit offers reliable aquaplaning safety, short braking distances on wet and dry roads, enhanced comfort and low rolling resistance. 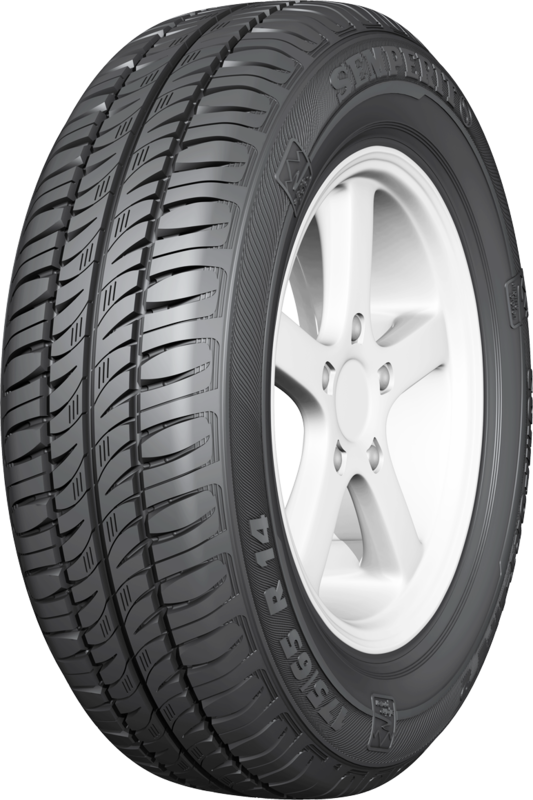 The specially developed tread pattern on this new summer tyre for small and compact cars outperforms its reliable predecessor both in safety-relevant driving characteristics and in comfort. Semperit wants to use the new model to build on the established technical benefits offered by its 'alpine proven' tyres. When driving along mountainous roads, safety means having reserves to cope with virtually all types of weather. Whether this entails good cornering characteristics on wet and dry roads, short braking distances or aquaplaning protection, the weather up in the mountains virtually dictates the demands which a Semperit summer tyre has to be able to meet. To further improve these high performance characteristics, the engineers developed a new tread pattern for the Comfort-Life 2 that combines safety, comfort and low rolling resistance. The new groove design between the tread lugs enables water to be dispersed even more rapidly from the ground contact patch. The water is first picked up via three deep circumferential grooves and then directed outwards through curved channels, thereby reducing the risk of aquaplaning when driving in the rain; braking distances on wet roads are also shorter. The braking distances and handling characteristics of the new Semperit Comfort-Life 2 have also been made even safer. Both benefit substantially from the sloped edges of the tread lugs in the tyre centre. The sloped edges mean that during braking and cornering these lugs deform considerably less than conventional ones, enabling more grip to be built up. Greater forces can thus be transmitted, keeping the braking distances short and achieving greater precision in steering commands. A fast steering response is particularly vital if a motorist has to swerve to safely avoid unexpected obstacles on the road. Low rolling resistance is also important on modern tyres. A car's fuel consumption is affected to around 20% by its tyres, so 'economical' tyres can be beneficial to both the motorist's wallet and the environment. In reducing rolling resistance by 6%, the engineers at Semperit have made a valuable contribution to these aims. The progress was achieved through the combined use of a balanced, flat tyre contour and low-rolling resistance production materials like silica. Semperit's new tyre also benefits from enhanced comfort. The offset rows of tread lugs in the tyre centre and shoulder render rolling noise more harmonious than it would be if a symmetrical tread pattern had been used. This design enabled rolling noise to be cut by 5% - benefiting both the car occupants and the environment.